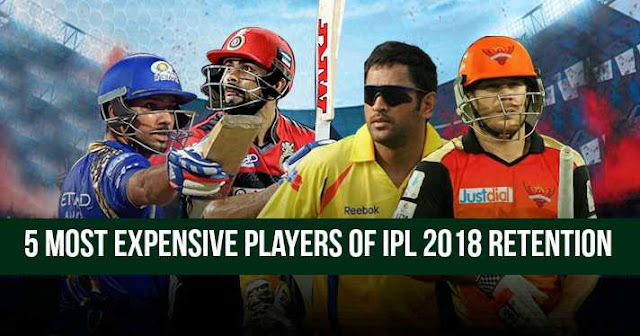 IPL 2018 retention has been completed; eight franchises of Indian Premier League (IPL) have announced their retained players. Chennai Super Kings (CSK) and Rajasthan Royals are returning after two years of suspension. IPL 2018 retention saw some shocking calls of retention. This year Board of Control for Cricket in India had increased the salary cap from Rs 66. crores to Rs. 80 crores; which is Rs. 14 crores more than the last years. With this BCCI also fixed the minimum salary cap deduction; Rs. 15 crores, Rs. 11 crores and Rs. 7 crores for retention of all three players. Rs. 12.5 crores and Rs. 8.5 crores were deducted for retention of two players. And Rs. 12.5 crores were deducted for retention of only one player. Indian skipper Virat Kohli was retained by the Royal Challengers Bangalore (RCB) for Rs. 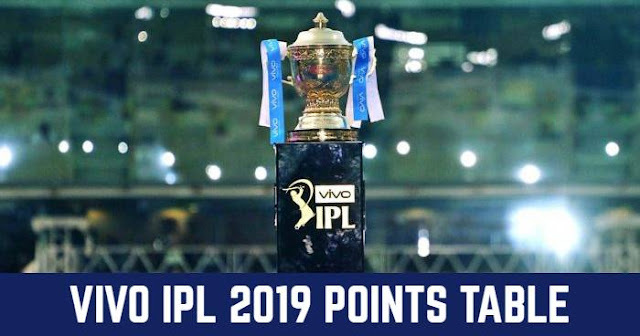 17 crores and became the most expensive retention of the IPL 2018. Virat Kohli was retained by RCB for Rs. 15 crores in 2016; so this was not a big surprise. The other two players retained by RCB was AB de Villiers for Rs. 11 crore and Sarfaraz Khan for Rs. 1.75 crore. But the salary cap deduction for Sarfaraz Khan will be Rs. 3 crore as it was minimum deduction fixed by BCCI for an uncapped player. The most successful captain of IPL, MS Dhoni was retained by Chennai Super Kings (CSK) for Rs. 15 Crores. CSK also announced MS Dhoni as its skipper and would be aiming to win the third title in its captaincy. MS Dhoni was paid Rs. 12.5 crores by Rising Pune Supergiant in 2016. The other two players retained by CSK was Suresh Raina for Rs. 11 crore and Ravindra Jadeja for Rs. 7 crores. Mumbai Indians retained its skipper Rohit Sharma for Rs. 15 crores. Rohit Sharma is in great touch and also MI had played well under his captaincy. Rohit Sharma was retained for Rs. 11.5 crore in 2016 by MI. The other two players retained by MI were Hardik Pandya for Rs. 11 crore and Jasprit Bumrah for Rs. 7 crores. After returning for suspension of two years Rajasthan Royals are thinking for starting from scratch. Rajasthan Royals only retained Australian skipper Steve Smith for Rs. 12 crores. Steve Smith was captain of the dissolved team Rising Pune Supergiant in IPL 2017. Steve Smith was retained by RPS in 2016 for Rs 7.5 crores. Australian vice-captain David Warner, who is leading the side for IPL 2016, has been retained by Sunrisers Hyderabad for Rs. 12 crores. David Warner leads the side to win the title in IPL 2016. Bhuvneshwar Kumar was only another player to be retained by SRH for Rs. 8.5 crores.